Home > News > India Bike Week 2016; What’s New? 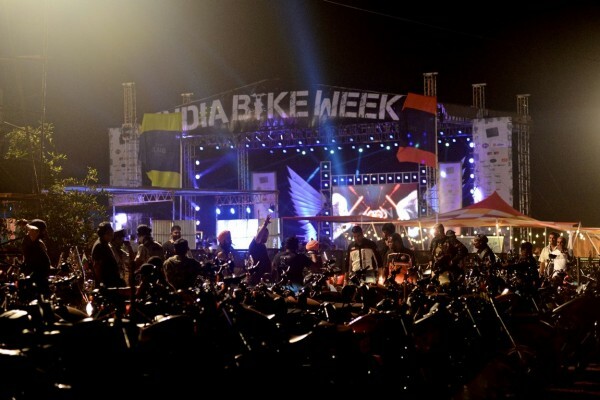 India Bike Week 2016; What’s New? All you motoring aficionados, we have not one but two mega events lined up in the early part of new year. Right after the 3-9th Feb Auto Expo it is time for the annual biking extravaganza in Goa – The India Bike Week which is scheduled to be held on February 19-20, 2016. Organised by Seventy Event Media Group and Fox life, the 2016 IBW will host over 12,000 bikers from around the country and all over the world. This time the IBW will also act as a the host to the country’s first ever Hard Enduro event. The competition will be open for general participation by amateur Motocross teams and will test both the man and machine to their limits. Participants will stand a chance to win a trophy to go with a cash prize of Rs 75,000. The organisers also plan to give bikers a taste of the Rio Carnival with the IBW Main Street. Essentially a runway for biker clubs, solo riders and all the participants of IBW to parade their personality and mean machines. Lined with bars and tents, this is the street that never sleeps, with bikes revving, cameras flashing, festival-goers carousing, and DJs adding to the din on bridges suspended overhead. IBW 2015 will also include a film festival where films on travel from all around the world will be featured. Appealing to the everyday adventure movie maker, the segment will also encourage participants to enter short ride videos. Entries will be featured on the India Bike Week website, and the winners will be awarded GoPro cameras. Participating categories are ‘Ride with my Pride’ (films focusing on biking clubs and their rides) and ‘My Ride Video’ (short videos highlighting great solo rides). Apart from this, the event will also be a host to a number of old favourites which includes Bikini Bike Wash, National Custom Bike Build off, National Stunt Championship, Biking Legends and Honour Roll sessions, International Bike Expo and Vintage and Classic Bike Concourse.